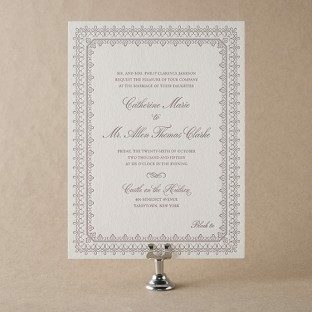 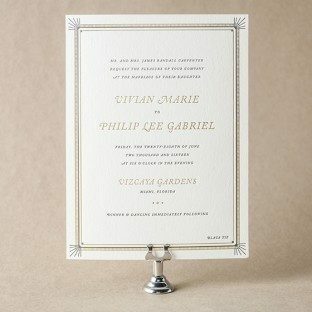 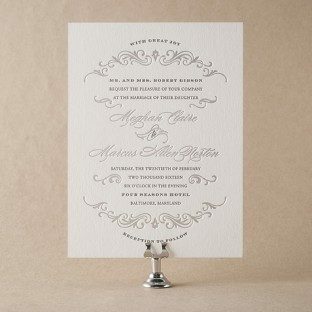 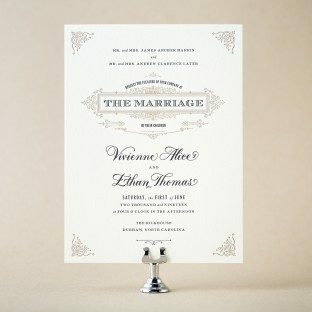 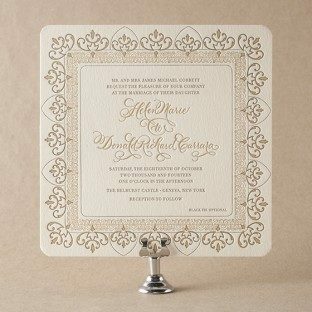 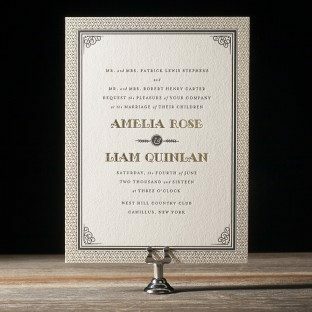 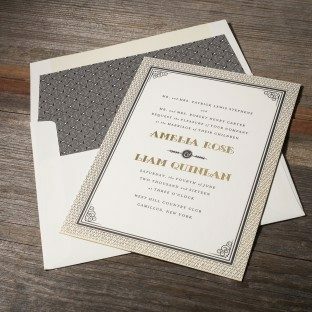 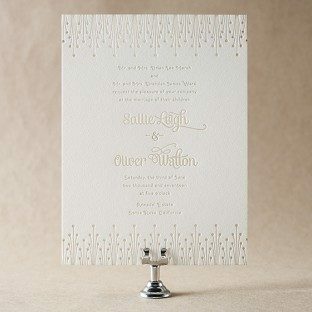 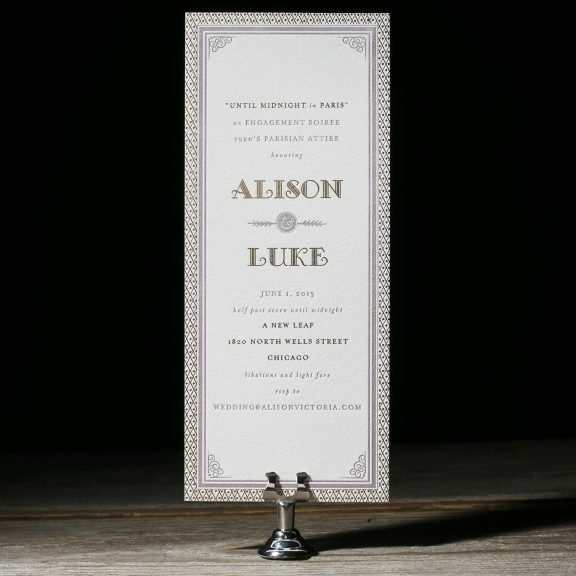 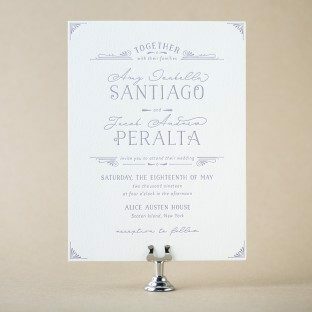 Perfect for a conspicuously decadent 1920's wedding thrown at a castle on the Gold Coast of Long Island, Fitzgerald is an utterly opulent letterpress invitation created by designer Ellie Snow. 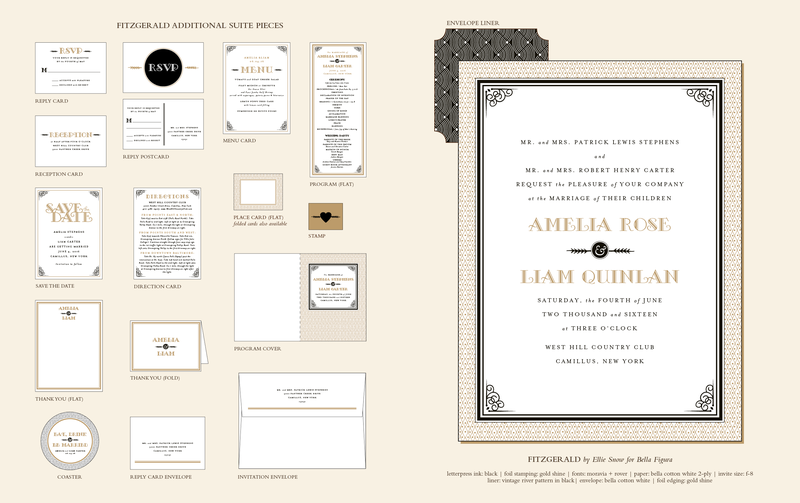 View additional pieces in the Fitzgerald sample suite. 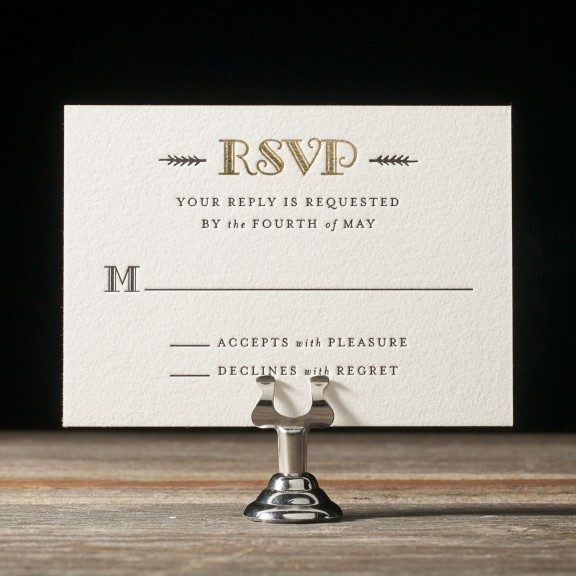 Fitzgerald is the perfect fit for any elegant, sophisticated soiree. 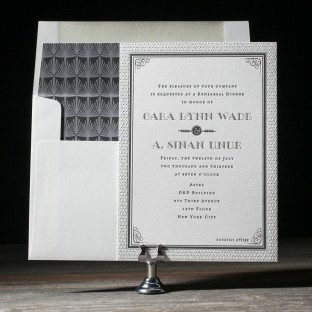 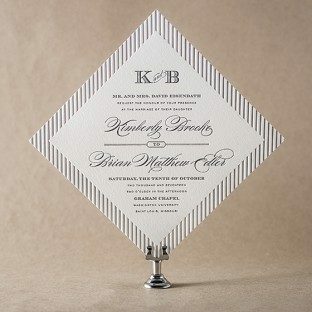 This rehearsal dinner invitation uses Black letterpress ink and Silver Shine foil and is accented by our Gatsby patterned envelope liner. 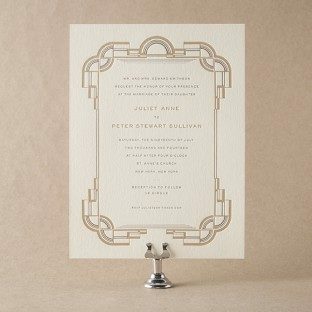 These #10 Fitzgerald invitations set the tone for a 1920's Parisian engagement party celebration. 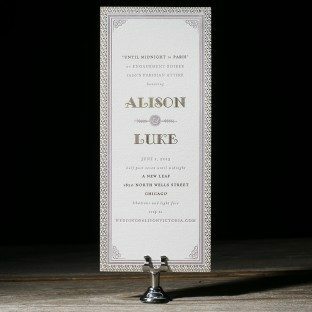 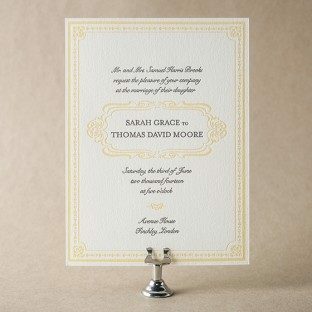 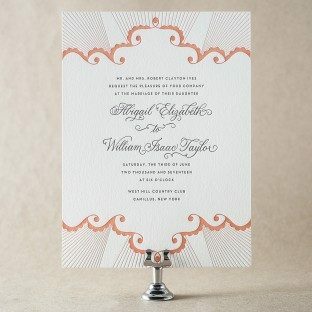 Gold matte foil added a touch of flair to these art deco inspired invitations. 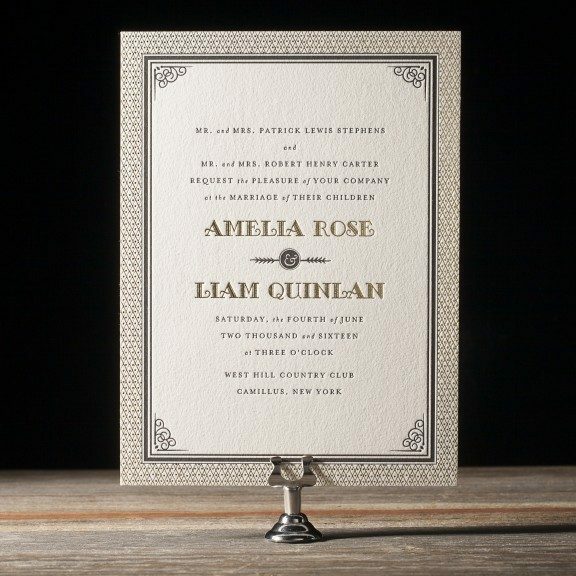 By incorporating motifs from our extensive motif library (a free customization!) 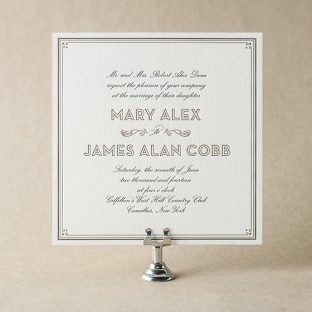 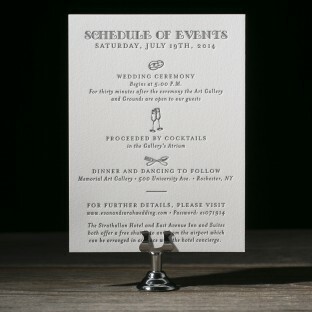 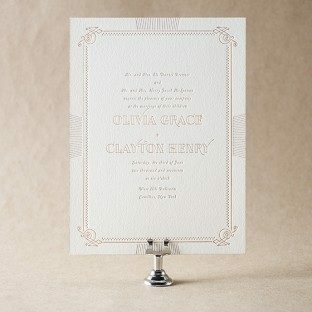 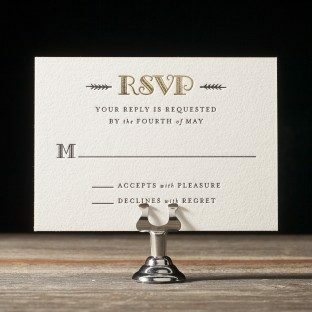 you can personalize any piece - like this Fitzgerald events card printed in charcoal letterpress ink.